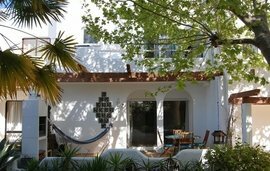 Buying property in Portugal can be a good option if you are looking for affordable property on the Mediterranean coast or an unspoiled rural idyll inthe sun. What Kind of Property Can I Buy in Portugal? Property in Portugal comes in a wide range of styles and sizes. Villas and rustic properties are particularly common, but there are also plenty of townhouses and apartments. 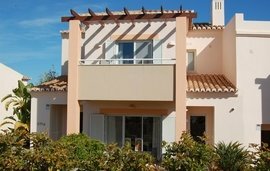 Condominium style and resort properties are another option when you buy real estate in Portugal, particularly along the Southern coast, but these kinds of developments are less common than in neighbouring Spain due to tighter controls. The restrictions on building here has meant fewer new properties on the market and many unspoiled areas, even along the coast. The Algarve and the Silver Coast are the most popular areas for international buyers, while Lisbon attracts foreign buyers who enjoy the lifestyle of a cosmopolitan city. International buyers include families and retirees looking for coastal holiday homes and younger people interested in the Lisbon nightlife. Most people own their own homes, so it is more common for long-term residents to buy property in Portugal than to rent. Property prices in Portugal are relatively inexpensive compared to other Mediterranean countries, and they are fairly stable, with signs of growth in some areas. 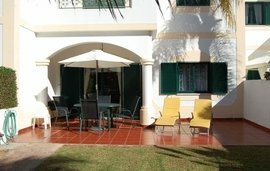 A typical studio apartment in the Algarve might cost €90,000. Townhouses in the same area would usually range from €150,000 - 250,000, with ;villas costing €400,000 or more. The top properties along the coast could cost;over €1m. Property prices elsewhere in Portugal can be two to three times;lower, particularly inland. Buying a property in Portugal is a relatively straightforward process, with no restrictions on foreign ownership. You will need to obtain a Personal Fiscal Number from the local tax office or when you open a Portuguese bank account before you make an offer. Winkworth International can help you to find the right property and to make an acceptable offer. Buying real estate in Portugal can then be a relatively quick process once you agree on a price with the seller and your lawyer has made some initial checks on the property registration certificate, property tax document and license of use. You will then be ready to sign the Contrato de Promessa de Compra e Venda, a promissory contract that is legally binding for both you and the seller. At this stage, you will need to pay a deposit, usually between 10-25%. Your lawyer will then conduct a search for any mortgages or issues with the property. If nothing is found, the sale will go ahead. You will then sign the Escritura de Compra e Venda - the final deed, and the contract will be sent to the land registry. Completion usually about 3-4 weeks after the signing of the promissory contract. If you are considering buying a property in Portugal or you would like further information on the process involved, please contact us. We would be pleased to answer your questions and assist you.